More good news in Santa Fe! CNN Money has rated Santa Fe one of the top 10 markets for rising home prices. Low inventory, sales are way up and prices are starting to rise. Don't miss out, if you are considering a home 'In the Land of Enchantment', give us a call today. Santa Fe not only has cleanest air in the nation, but it also should see some healthy gains in home prices as well, according to Fiserv. This state capital in the high (located 7,200-feet above sea level) country of central New Mexico wasn't hit half as hard by the housing bust as some other parts of the nation. 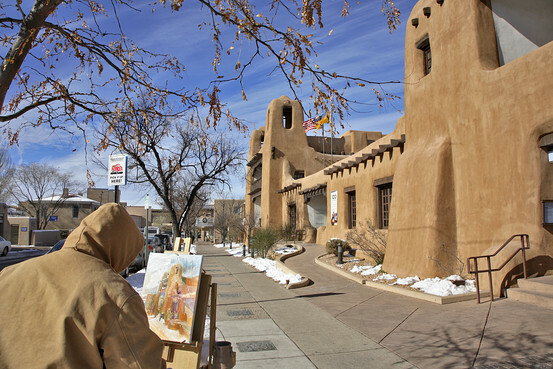 Helping to lift prices is Santa Fe's thriving economy. With a population of just under 200,000, unemployment is at a low 5.5% making it one of the top 10 metro areas for jobs. The city is also attractive for other reasons: It's a center for visual and performing arts, with a major dance company and the famous Santa Fe Opera. When looking to move to a new place, you often think to look for qualities like recreation, education, transportation, vocation, etc. Santa Fe Real Estate has all of these qualities, in spades. But not often does the mind wander to the air quality of a place. Well in case you were curious, Santa Fe has got that quality in the bag too. 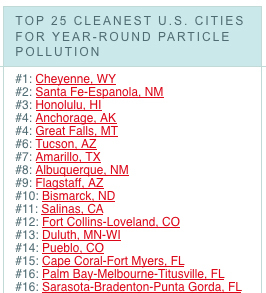 Santa Fe was rated number 2 in the Top 25 Cleanest U.S. Cities for Year Round Particle Pollution by the American Lung Association. Most cities are polluted with a noxious mix of chemicals and particles that can damage your lungs and even shorten your life. The average adult takes 15 to 20 breaths a minute. Your nose, throat, windpipe and lungs brings air into the body with every breath. 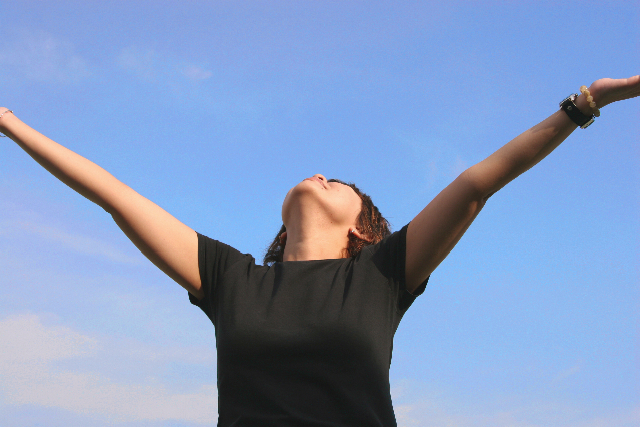 Once in the lungs, the oxygen from each breath is taken into the bloodstream and sent to all of your body's cells. So it goes without saying how important it is to keep these breaths of air as clean as possible. Bad Air = Bad Health = Short Life. World-renowned art, museums, attractions, breathtaking beauty - Santa Fe Real Estate has a lot of great qualities. But when all is said and done, breaths of fresh air might be one of its most valuable assets. If you are looking to move to a "City Different" that offers a breath of fresh air, please give me a call. 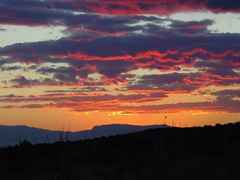 I can help you find a beautiful Santa Fe home, in the midst of the mountains, where you can breath in nothing but clean, chemical-free air. 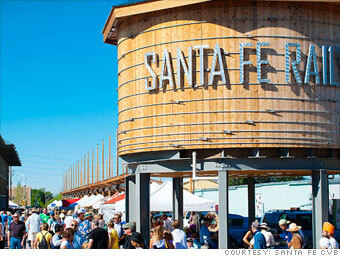 Santa Fe, New Mexico proudly ranked in the top ten most popular and affordable places in America to retire! Climate, recreation and hobbies, cost of living, and convenience strongly influence the decisions of most later-life moves. So what are the most popular locations? The best place for you to retire, however, and the order of priorities will completely unique. 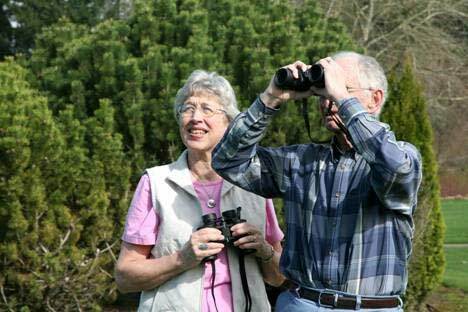 While this list provides an idea of where the greater retirement population is settling, you’ll want to evaluate your own personal preferences and rank each item’s importance level. 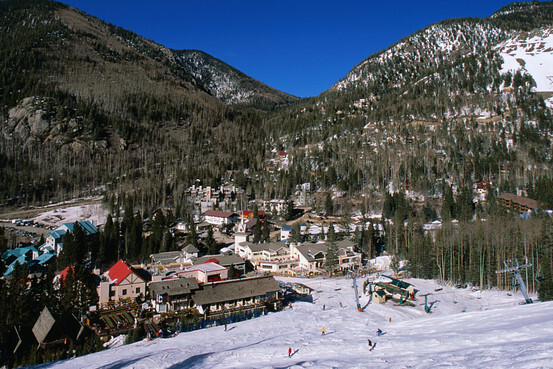 Coming in at number 6 on the list with 20% growth in the 50+ population is our own Sante Fe! 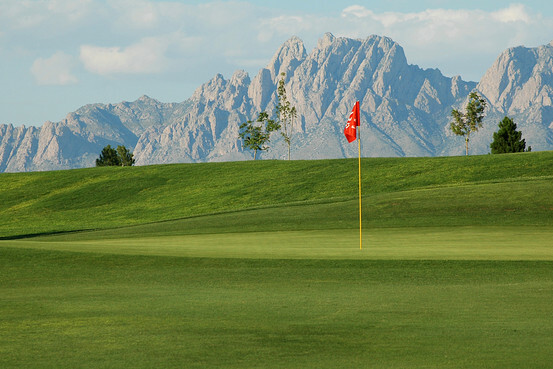 So why are retirees choosing the Land of Enchantment? Artistic foundations, world-class dining, shopping, high air quality, gorgeous views, and warm temperatures are strong enough arguments to entice anyone! 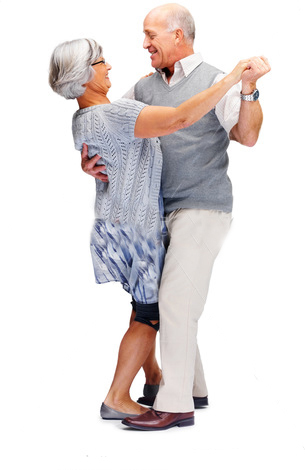 Santa Fe is very popular among active members of the retirement community, with vibrant culture, friendly people, and outdoor activities year-round. In addition to the quality of life, the average list price range is an affordable $350,000- $415,000. Safely in the middle, Sante Fe may not be the most affordable, but gladly it has so much more to offer! 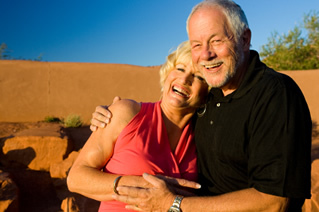 Justified by sunshine, recreation, art, fine Santa Fe real estate, and an overall fine quality of life, more and more retirees are finding Sante Fe worth the move! If you’re thinking of relocating to Santa Fe, contact me today for more information on the ‘City Different’ and Santa Fe real estate!